Greetings, Stampers! Is it Sunday again already? The days and weeks just seem to be flying by! Well, you already know that Sunday is my favorite day of the week, because that's my day to play with The Paper Players! 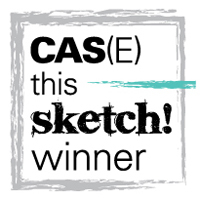 This week LeAnne has an awesome sketch for us. 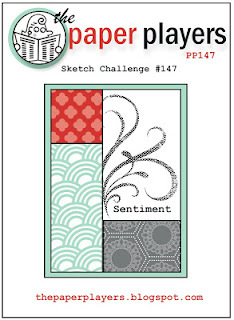 It's the perfect layout to show off some patterns in your favorite pack of designer paper. 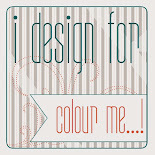 I decided to go with some products from the Stampin' Up Spring Catalog, which will be expiring at the end of this month. The designer paper I used is called Tea for Two (love this paper!) and all the images are from the Oh Hello stamp set. 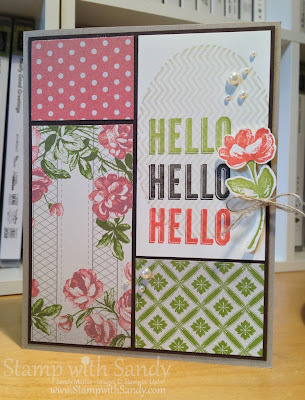 For my stamped panel, first I stamped the chevron oval in Crumb Cake ink which was stamped off once. 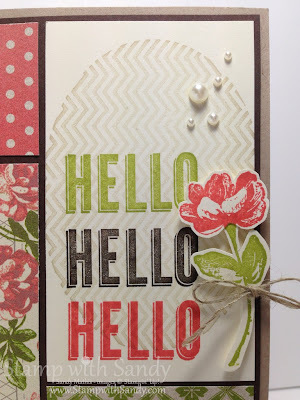 I masked off the "Oh" in the sentiment stamp with tape, then stamped it three times, once each in Calypso Coral, Lucky Limeade and Early Espresso. 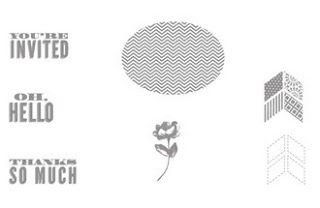 The flower was stamped twice and then cut out by hand. It was popped up with some snippets of Dimensionals, and I finished things off with a Linen Thread bow and some randomly scattered pearls. Thanks for stopping by! We hope you'll play along and join the fun at The Paper Players! Beautiful card Sandy. Love the colors and papers. 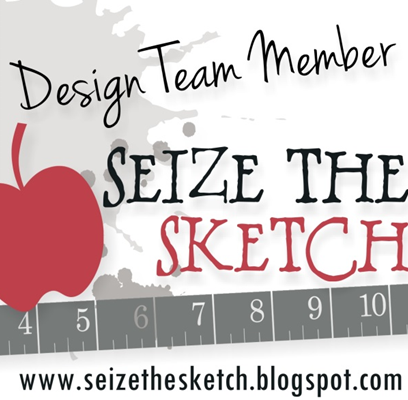 This is just perfect, Sandy...exactly what I had in mind when I came up with the sketch! 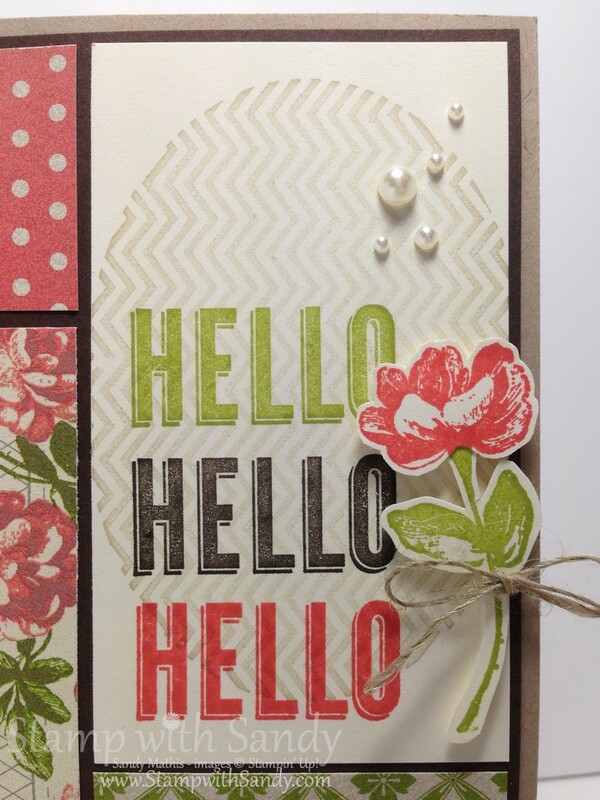 The colors are beautiful...I just love green & pinks together...and I love how you got extra use from the sentiment by masking off the "oh"! 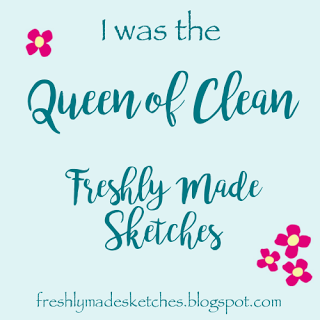 Thanks for making my sketch sing! Gosh Sandy! Always so beautiful!!! Just LOVE your card!!! TFS! Absolutely stunning, Sandy! I love the mix of patterns and colors you selected! This is just beautiful, Sandy! I love what you did with the sentiment, and the pearls and linen thread bow are perfect finishing touches. Gorgeous, Sandy! 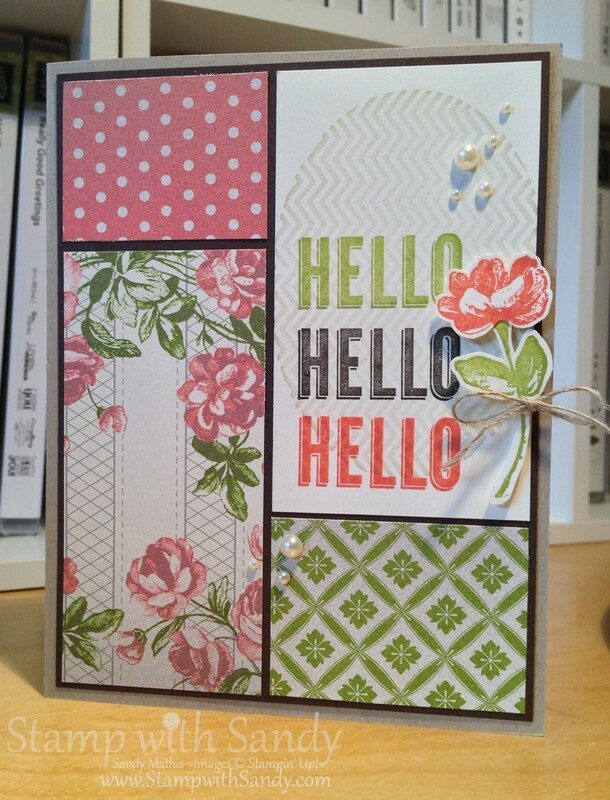 Not only did you mix patterns and colors expertly, I love your clever stamping too! Not to mention pearls sprinkled in and about--just fabulous!